This summer, we profiled Eric Tessmer’s unique rehearsal studio in our Show Us Your Space series. The Austin-based blues-rock guitarist had an innovative solution to the city’s rising rents—he converted his practice space into an apartment and moved in there full-time. He’s since found a new place to sleep, but his large and neatly arranged collection of guitars and amps remains—including several Leslie-style rotary speaker amps he’s known for playing. 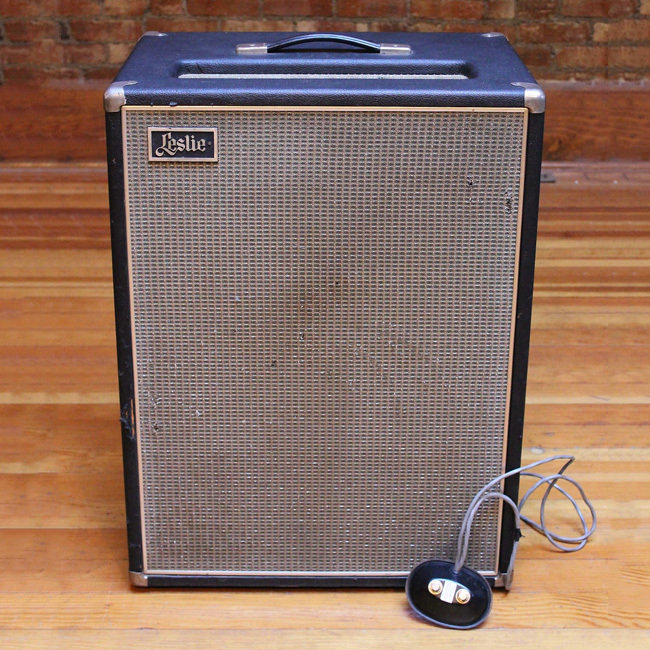 In the video above, Tessmer shows off a pair of these amps, what he calls "Guitar Leslies"—and not only does he treat us to some demonstrations, but he also shares a bit of their history. "CBS owned Fender and Leslie at the same time in the late ‘60s. I think they started making the Vibratone and the Leslie in ‘67," he says. "They are pretty much exactly the same unit, except for minor differences, mostly cosmetic. 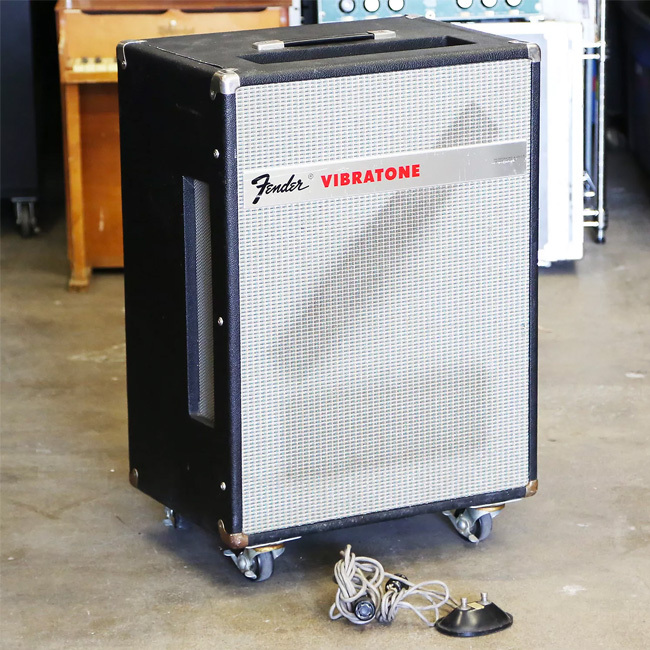 The Fender Vibratone is a front-loader. The Leslie 16 is a back-loader, a rear-loader. They both have a speaker that sits vertically instead of horizontally like a traditional organ Leslie, and there’s styrofoam baffle with a scoop in it that spins in front of the speaker and just slings the sound around." In his demonstration, Tessmer shows different ways you can use the Vibratone and the Leslie, like using the crossover to have the Leslie speaker take only the mids, while letting the low- and high-end go out through your normal amp’s speaker. The footswitch can engage or disengage the crossover and give you control over the speed of the rotating baffle. When playing live, Tessmer will mic each side of the Vibratone or Leslie 16 amps and pan the signals far left and far right for a wide, constantly in-motion stereo spread. Or, by just mic’ing one side, it will sound more like a traditional Leslie, where you’ll hear the sound get closer and farther away as the baffle spins. In a pinch, Tessmer uses Leslie-simulation pedals. "Believe me, for a lot of fly-in stuff—like fly-out dates—that will save your life. But, compared to the real thing, it’s like, not even apples to oranges. It’s just like a Yugo versus a Rolls Royce." Be sure to check out the full video above, and check out all of the Guitar Leslie amps and Leslie-simulation pedals on Reverb. Tessmer’s brand-new single, "Good So Bad," comes out October 26. Go to Tessmer's website for more details.